“It’s a family business,” Ziegler said, noting the involvement of his nine brothers and sisters. They are silent partners. Two live in the Lake Area, one in Florida and the others in the St. Louis area. "Refinement" and "precision" are words used to describe Bentley Motors. 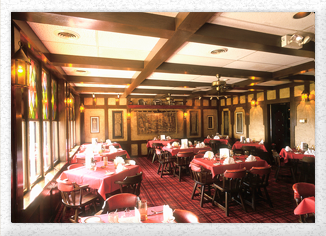 Ziegler and his staff employ those standards in their approach to providing quality food, a full bar and customer service. That attention to detail is evident in the simplicity and design of the menu and wine list, the array of brass etchings on the walls and the demeanor of the wait staff, neatly attired in tuxedo shirts and black bow ties.